* Moisturizing glycerin soap recommended for dry skin, acne, and oily skin. 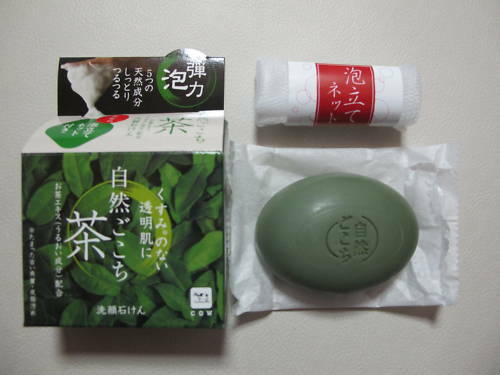 Foaming net bag produces extra rich elastic lather for gentle cleansing. * Contains five natural skincare ingredients: Green tea extract, Hyaluronic Acid, Collagen, Jojoba oil, and Althae Officinalis Extract. * Hyaluronic Acid to protect moisture in your skin. 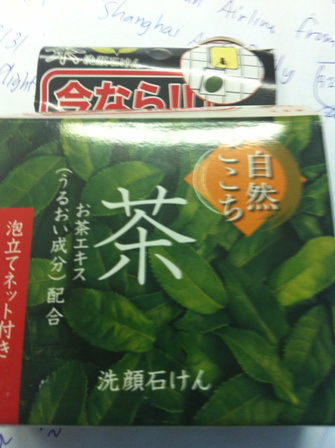 * Relaxing green tea scent. 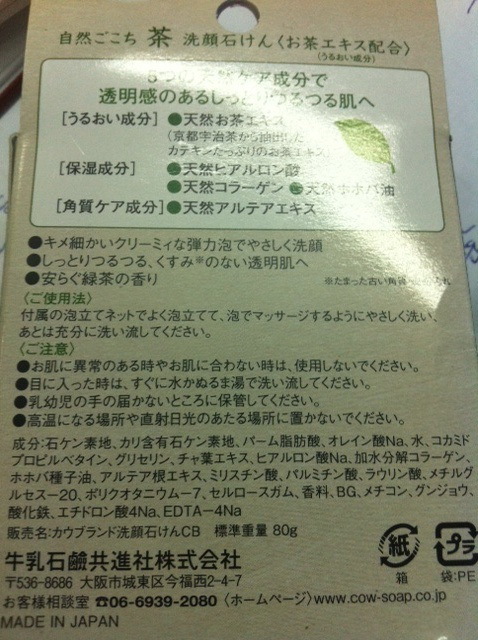 * Made in Japan, but comes with English ingredients and usage instructions.